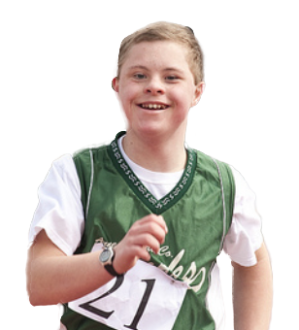 The following submission comes from Special Olympics New Hampshire athlete Parker Thornton. 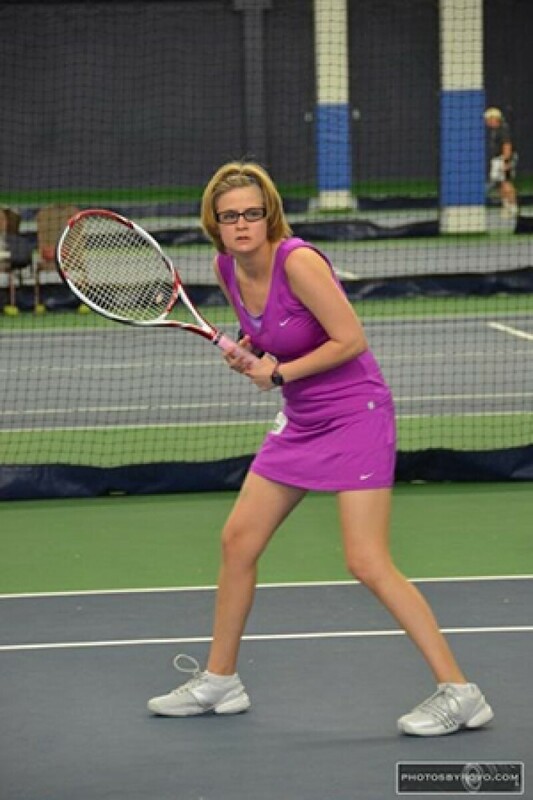 This month, I caught up with Hillary Kern—Special Olympics Health Messenger and long-time athlete from Texas, USA. The Health Messenger program is empowering people with intellectual disabilities to develop leadership skills so that they can influence others to lead healthier lives, promote inclusion around health and wellness services, and advocate for the health needs of people with intellectual disabilities. Parker Thornton: Hillary, you recently released a series of fitness videos that gained some popularity in your community in Texas. Tell me more about your decision to work on this project. Hillary Kern: To be a great athlete you need to be a healthy athlete. I learned that at the Health Messenger training that I attended in the beginning of the year. I got interested in learning more about fitness. I looked at the fitness materials that Special Olympics developed, and spoke to my local Special Olympics Program to learn more about the needs of athletes in Texas. I decided to start promoting fitness using my social media channels, and thought that a series of fitness videos would motivate others to participate as well. Parker: There are many other fitness videos available online. What is different about your series? Hillary: I wanted to make videos that speak to Special Olympics athletes. I also wanted other people with intellectual disabilities to know that they can be leaders in the fitness community as well. I worked with Special Olympics Texas to place these videos on their website to make sure that my message gets to my teammates. I shared them on my social media along with answers to fitness questions from other Special Olympics athletes. Parker: When it comes to fitness, there is so much information to cover. How did you decide what topics would work best? Hillary: I got my inspiration from the Special Olympics Fit5 fitness guide, which is based on the three simple goals: exercise 5 days per week, eat 5 total fruits and vegetables per day, and drink 5 water bottles of water per day. Parker: What kind of responses did you get so far? Hillary: One of the coaches working with the Special Olympics team in Texas is a teacher and is planning to use the videos in her classroom next year. I also presented my fitness videos at a Special Olympics Texas team training camp and at the annual athlete leadership program meeting. Everyone seemed to like the idea and hopefully got inspired to lead a healthier life. 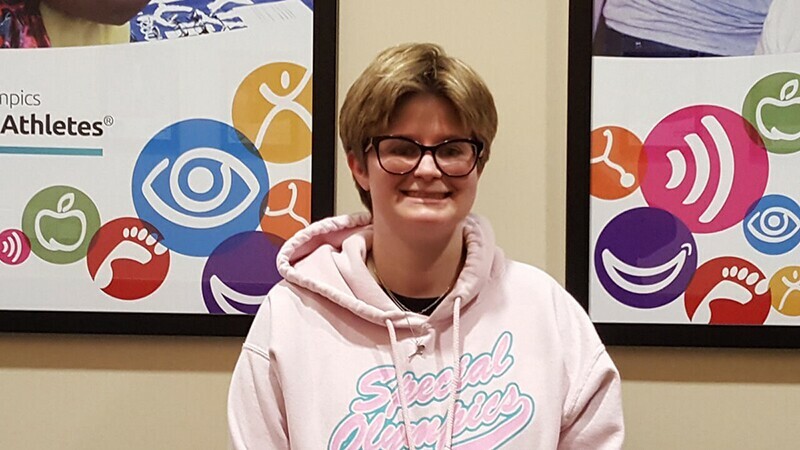 Parker: In a few weeks, you are heading out to Seattle for the 2018 Special Olympics USA Games. How did working on this series of fitness videos help you prepare to compete? Hillary: I now have the tools to be in charge of my own fitness. I found out that you can start small, with one change and build on that first step. The process has also helped me think more about nutrition and fueling my body with the right foods ahead of competition. I wanted to share this with my friends and teammates so that they can also choose to live a healthier lifestyle. Parker: Ahead of the 2018 USA Games, Special Olympics launched a fitness challenge, inviting athletes to track their steps and live a healthier life. How did you do on that challenge? Hillary: I am still working to get to 1,000,000 steps, but I know if I add more steps in the last three weeks of the challenge, I will reach the goal. I only need to take 10,000 steps each day for 10 days to reach this goal. The other day, I was playing golf and learned that there would be no golf carts, but this did not bother me because I knew that walking would help me get closer to my goal. I just learned that over 2,300 people participated in the challenge, and together we walked 1.5 billion steps. That’s over 70,000 miles of walking. Way to stay active ahead of competition! M.A. from GWU. B.A. from UF. Social Media at Special Olympics International. General social commenter, pop culture consumer and everyday sports fan.